Halfway through the helmet procedure. As first time parents, we were so scared when we found out our 2-month-old daughter, Karlee, had to have surgery. 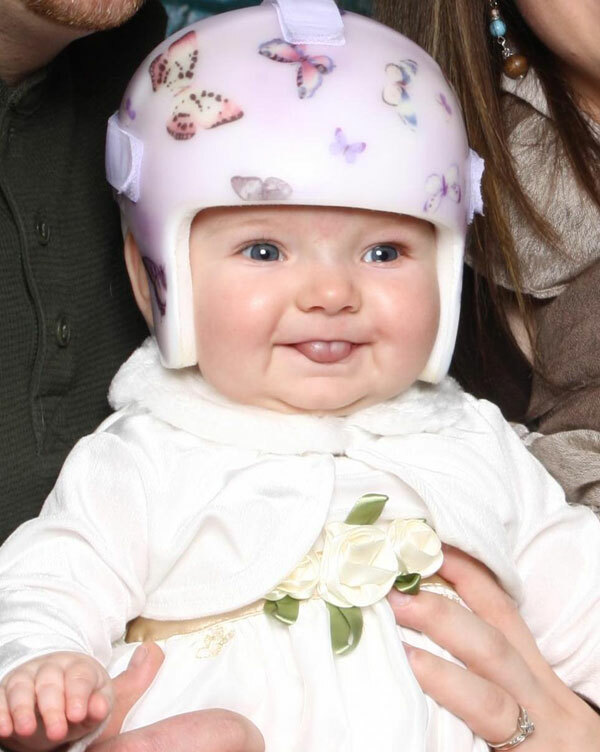 She had craniosynostosis, which means she did not have a soft spot. We were sent to Akron Children’s. Dr. Murthy and Dr. Hudgins performed the surgery where they had to remove a 2-inch wide by 3.5 to 4-inch long section of her skull because her skull was growing long ways like a boat. We then got 3 helmets through Hanger Orthotics to help correct the shape of her head. Dr. Murthy and Dr. Hudgins did a wonderful job on her surgery. 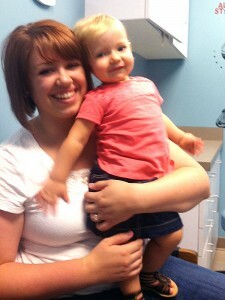 The nurses were very helpful and understanding. And throughout the past year, with our follow-up visits with Dr. Murthy, Dr. Hudgins, as well as Brian Becker at Hanger Orthotics, they were wonderful with my daughter, and were very informational and kind to me. They will never know how much my husband and I appreciate what they did for our baby girl. I would recommend them to anyone! The day we got the news we were done with the helmet!